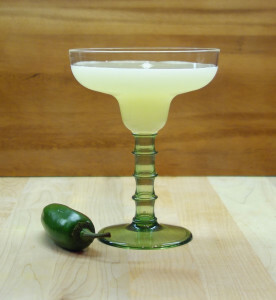 This margarita is a new favorite because of its subtle taste of jalapeño with the slightest bit of heat on the finish. It was popular at our last party…and we knew we had a hit when the rest of the cocktails went untouched! 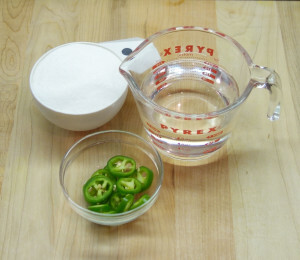 The simple syrup takes only a few minutes to make, but does require time to cool. So plan ahead! Add the remaining ingredients with ice and shake to chill – about 15-20 sec. Combine all ingredients in a small sauce pan and bring to a boil over med-low heat. Strain into a jar, bottle or squeeze bottle and store refrigerated – it will keep a couple of weeks.